New Bedford’s newest police officers were sworn in this morning at City Hall. 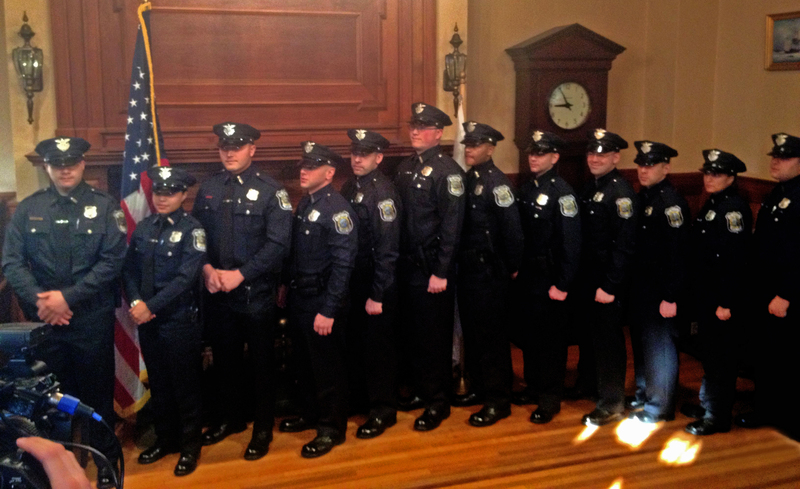 The 12 new officers completed 21 weeks of intensive training in the Plymouth Police Academy, graduating Friday, February 1, 2013. After the ceremony this morning, they are now officially members of the New Bedford Police Department. The new officers went through intensive training in many areas to include, criminal law, juvenile law, defensive driving, and firearms training. They put in long hours learning and practicing the mandated courses of study. 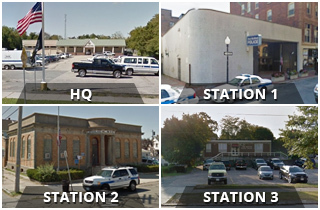 We wish them all the best as they embark on their careers with the New Bedford Police Department.